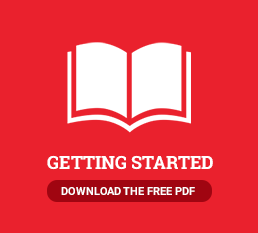 Self-Publishing Simplified - My book is out—now what? It’s time for a book launch! 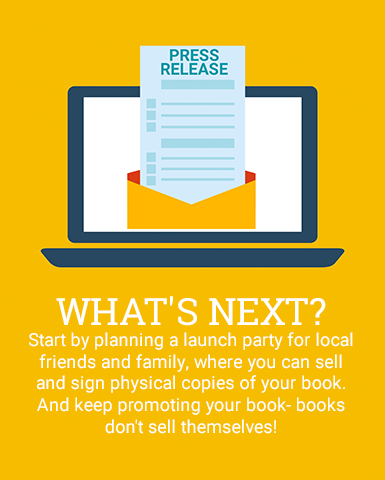 Start by planning a launch party for local friends and family, where you can sell and sign physical copies of your book. Spread the word about your book on your social media and blog, and let local media outlets and bookstores know about your new release. After your initial launch period is over, it’s important to continue promoting your book—books don’t sell themselves! Our marketing specialists offer a wide selection of marketing services that can promote your book across social media, in global trade shows, through internet and magazine ads, press releases and other traditional platforms.